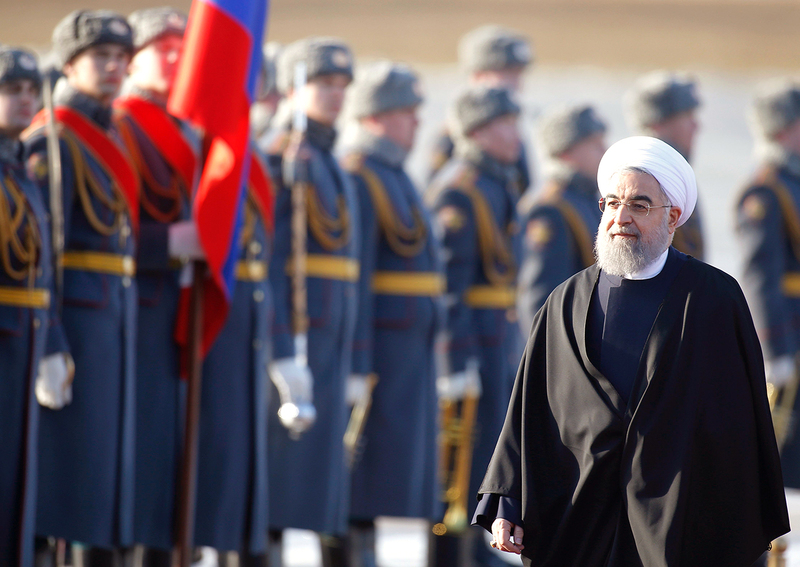 Iranian President Hassan Rouhani inspects the honour guard during a welcoming ceremony upon his arrival at Vnukovo International Airport in Moscow, Russia on March 27, 2017. Hassan Rouhani won presidential elections in Iran. Russian President Vladimir Putin has sent a telegram of greetings to Hassan Rouhani following the latter's convincing win in Iran's presidential election, Kremlin’s press service said on May 20. "The head of the Russian Federation has confirmed his readiness to continue joint efforts to expand cooperation between Russia and Iran both on the bilateral and international agenda," the report said. Russian President also expressed confidence that the parties will successfully enforce the agreements, particularly those reached during the recent official visit of Rouhani to Russia, for the benefit of friendly nations of the two countries, in line with the efforts to maintain stability and security in the Near and Middle East and in the whole world. Earlier, Iran’s Interior Minister Abdolreza Rahmani-Fazli said the incumbent President of Iran has won Friday's presidential election. A total of 23.549 mln voters (57% of those who participated in the vote) cast their ballots in favor of Rouhani, the minister said.